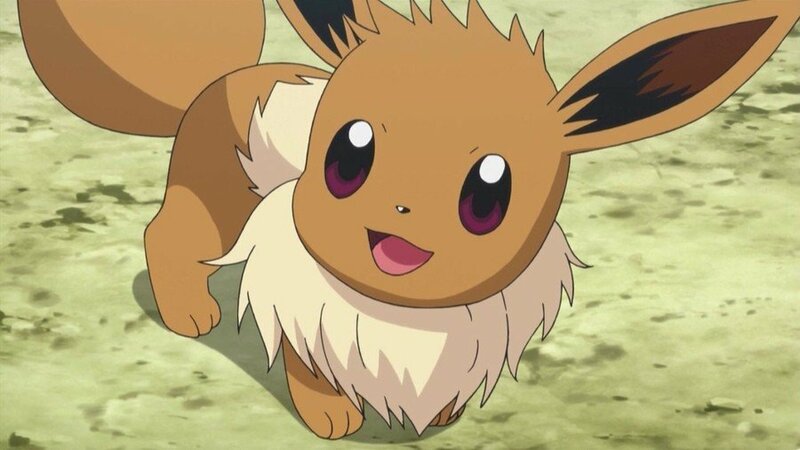 Eevee is one of the most popular evolution candidates in Pokémon GO, and for good reason. This adorable monster can evolve into a whopping eight different forms, though only five of those are currently available in the game: Umbreon, Espeon, Vaporeon, Jolteon, and Flareon. In the "classic" Pokémon outings, this particular monster is able to evolve into different types depending on what special items you have, its happiness level, the moves it has unlocked and the time of day. Thankfully you don't have to jump through those kind of hoops in Pokémon GO. Instead, you can simply rename your Eevee to one of five different names to guarantee a particular evolution. There are a few caveats, but the system definitely works if you get it right. Dedicated fans of Pokémon will know that these names have special significance. In episode 40 of the original series, these "Eevee brothers" meet with Ash and the gang. There are some caveats here. Some players have reported that this only works the first time you evolve an Eevee, and others have claimed that it hasn't worked for them personally - possibly due to server issues. Users on Reddit have discovered a possible second method of evolving Eevee into Umbreon and Espeon. It's surprisingly simple as well – all you have to do is walk Eevee 10km and then evolve it at night to unlock Umbreon, and during the day for Espeon. The best part about this particular trick, is that you can evolve Eevee into Umbreon and Espeon using this method even if you already have an Umbreon or Espeon from using the naming trick. What's not clear though, is whether or not you can use this trick multiple times. Beyond these three evolutions, Eevee's other possible types - Leafeon, Glaceon and Sylveon - aren't featured in the game as yet. We'll let you know the Eevee evolution names for gen 3 onwards as soon as we know them. It worked for me (got a Flareon cos I love it) That backstory about it is really interesting and it's good that people don't have to evolve their Eevees over and over in frustration. So this isn't just a hoax? My friend swears it didn't work for him. I myself haven't tried it yet. I got lucky to get each Eeveelution in a row. My daughter told me about this yesterday. I am going to try this as soon as I get an Eevee with decent CP points. All the Eevees I have are CP100 or less. I believe it works. I named my Eevee "Sparky" and it evolved into Jolteon. Worked for me ("Pyro" / Flareon) also. I had evolved about seven Eevees trying to get a Flareon before I tried this trick. Already got Sparky and Pyro. I'm working on Rainer now. I have two Flareons and two Vaporeons. Since I know nothing about Pokemon, I was surprised to see Eevee evolves into multiple forms. I had no idea there was a third form nor that naming the Eevee a certain name would yield certain evolutions in this game. One suggestion that was made to me was, after renaming your Eevee, exit the game and restart. This way, you can confirm the name was saved and uploaded to the servers before evolving it. If the rename wasn't saved, then you'll just get the random evolution. People just think it works because a 1-in-3 chance is still a good chance of getting what you want. There are plenty of reports that it didn't work, and this very article even mentions them. I can't believe they're being explained away as "server issues" or "you probably just did it wrong" instead of being taken as evidence that the method is fake. The older "the special attack determines the eeveelution" method is now widely accepted as fake just from a few people posting that it didn't work for them. Why isn't that happening here? Used Sparky to get a Jolteon. I had already randomly evolved a Flareon and Vaporeon. Sparky worked fine. Worked on my brother's Vaporeon. I was hoping that is would be 'Booster', 'Thunders', and 'Showers'. But that's just me. What if I want an Umbreon, what name will I have to give Eevee? If it's only working the first time, it's more likely that it just doesn't work at all and the people that think it does are getting lucky. I mean, if there is a 1 in 3 chance it will work, that means it doesn't work... because there is a 1 in 3 chance you will get what you want anyway. @Shugo I see a lot more people saying it works than people saying it doesn't, though. It's worked for me and my friends so far, so maybe it doesn't make it an 100% chance that they will evolve into that form, maybe it just raises the chances. Seeing as there's no confirmation either way, you're just as wrong in saying it's a hoax as the people claiming it's guaranteed to work. @retro_player_22 Jolteon, Flareon and Vaporeon are the only Eeveelutions in the game at the moment, because it only has the original 151 Pokemon. My son is going to love this news! We've been trying like mad to get Espeon and Umbreon to no avail. Must have evolved about 30 eevee's too. Please note the name trick only works once. I would add that Espeon and Umbreon are not entirely random. If you walk Eevee as your buddy for a distance longer than ten kilometers, it will evolve into Umbreon or Espeon as opposed to Flareon, Jolteon or Vaporeon. Which one out of these two it will be depends on the time of day. It will be Espeon during the day or Umbreon during the night. This is known to work one time per name, next time the same name is used it's random! Why has an article which was first written back in 2016 been regurgitated? Look at the comments! @wolvesboy I've noticed as of late when there's new information they revive an old arctic as opposed to making a whole new one just for additions. They've also revive the memory card arctic at least 2 to 3 times now. @Dogorilla aren't there like over 300 Pokemon available at the moment? I used this method when the game was still new and can safely report that it 100% turned my three eevees into the correct forms based on their nicknames. @Dogorilla Oh wow that's confusing. I didn't know they could that. All worked for me a while ago, haven't tried again so don't personally know if one time only but seems to be commonly accepted it is. I was wondering how a specific issue Pokémon GO article had over 30 comments when the interest level in the game is now dead as a doornail. Necrothread. Just look at other article threads on Pokemon GO now, less than 10 comments in many. The horse is dead, let it rest. Never gotten Umbreon, calling it Tamao or otherwise. @PlywoodStick Honestly, it still has over 1 million active users, particularly in metropolitan and city areas. It only dies in places with little to no pokestops or gyms. It's gotten much better. 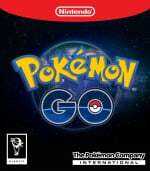 Hopefully they implement trading and trainer-to-trainer battling soon; that should revitalize it a great deal. @reali-tglitch The daily active user population has gone down to almost 5 million players. Compared to mid-July 2016's peak of nearly 28.5* million daily active users, and even compared to August 2016 when about 15 million daily active users had dropped out, that's a colossally monumental drop. Turns out Pokémon GO was a global fad after all- perhaps the biggest rise and fall in gaming history. Niantic is way too late on adding trading and PvP, those should have been implemented back in late Summer / early Autumn 2016 at the latest, if not at launch. It also doesn't help that the AR+ feature is only compatible with iPhone 6S or newer, or a 5th generation iPad or newer- no Androids. Most smartphones are Androids, so a huge segment of the population aren't even able to use this crucial update. Pokémon GO will keep going with a relatively small, dedicated audience, but it's doubtful that it will ever return to being the phenomenon it once was. Well... 5 million worldwide players isn't a small number of people. But you need to know where to go to find them. @PlywoodStick Ninantic certainly did go too long with letting the game be stagnant without adding content or other features. Everyone knew it the world conquering popularity upon launch would never last. But 5 million active daily users is still nothing to shake a stick at, and there's nothing wrong with NL posting an article (or reposting an old one with a few new lines of text). I'd venture there are more daily or semi-frequent Pokemon GO players on this site than people who bought Payday 2, for instance. Three articles in the last 50 posts is hardly intrusive and easily ignorable.